1. Tom Blees was interviewed by George Noory on Coast to Coast AM radio for the last 2 hours of the show in January 2009. Tom discussed how IFRs burns nuclear waste as fuel, and why this technology has the potential to provide unlimited energy. It’s a completely clean and safe energy source that could put coal and fossil fuel out of business, he declared. Tom also got a 50 minute gig on Douglas Everett’s Radio Parallax in February 2009 (audio here). Another interview is here. 2. Rod Adams, who runs the Atomic Insights blog, has recently interviewed George Stanford (Stanford earned his PhD in experimental nuclear physics from Yale University and then spent his professional career doing nuclear reactor safety research at the Argonne National Laboratory: he talks about sodium-cooled fast reactors and pyroprocessing. ), Clinton Bastin (Bastin is an atomic pioneer who worked on used fuel recycling for most of his 42 year career. He has some strong opinions to share about related technologies.) and Steve Kirsch (Two years ago, Kirsch, a Silicon Valley entrepreneur and philanthropist, was sure that the US did not need nuclear power. Now he thinks it can save the planet. Find out what changed his mind.). 3. James Hansen was interviewed (TV) by Charlies Rose, where he says humanity should look forward to using 4th generation nuclear reactors. Ray Lightning has a post about it here, with links to the video. 4. Mark Lynas is confronted on BBC Radio 4: Today by Greenpeace’s Caroline Lucas for saying that nuclear power must be part of the 21st century energy solution. Lynas puts it as follows: On Radio 4’s Today programme, Green party leader Caroline Lucas accused me of having “lost the plot”. When I argued back, she accused me of “just being silly”. I was a traitor. 5. Finally, for some fireworks: Tom Blees was interviewed on The Peter B. Collins Show in November 2009, in a discussion that focused mostly on nuclear pros and cons. Harvey Wasserman, journalist, activist and author of Solartopia: Our Green-Powered Earth, joined in for the second half of the show. For extra points, count the number of times an increasingly heated Wasserman says “it’s just theoretical!“. If you know of any other relevant interviews, please let us know in the comments below. Whilst on this topic, I should also note that there is an excellent climate radio programme available for download as .MP3 files, called The 300 to 350 Show (named after Target CO2). It ran throughout 2008 as weekly 30 minute episodes. Its predecessor shows (Low Carbon Show , Two Degrees  and Climate Confidential  are also archived at the linked site). These three shows surveyed a diverse range of global-warming-related topics, and usually included interesting interviews with climate scientists, economists, activists and so on. Major events were regularly covered: for instance, this show focused on the Poznan climate conference from late 2008. It’s definitely worth checking out (and has been on my Climate Resources list [left sidebar] for quite some time). Thanks to the wonders of RSS, my communte to work today was enlightened by the .mp3 of ‘Tom also got a 50 minute gig on Douglas Everett’s Radio Parallax’ (which was sitting on my ipod after its overnight charge). This wonderful interview opened my eyes (ok ears) to both the advances in IFR technologies and plasma recycling and led me back to this blog post of yours. I had skimmed over the earlier posts you refer to here, but the significance of these two things was lost to me amidst the noise of a busy day. Being stuck in the car with the audio automagically fed to my ipod was just what I needed. Thanks for the feedback Mike! Climate Debate Daily also kindly linked to this post, which has resulted in a lot of recent new hits (and click-throughs to these interviews) — and therefore, I hope, to an increased awareness of the huge advantages offered by “Newclear” power. I definitely think that audio is often the best way to get introduced to new ideas that might otherwise be overlooked or skimmed in our busy lives (one can follow up later with the text if interest is sparked). It is unfortunate that Tom Bless wrote his book at the moment that Kirk Sorensen and I were pulling the Molten Salt Reactor from obscurity in the form of the Liquid Fluoride Thorium Reactor. While the IFR shares some of the advantages of the LFTR, the LFTR is safer and the LFTR does not require a separate chemical processing facility in order to close the breeding cycle. Thus the operating cost of the LFTR would be significantly less than the cost of operating the IFR, Indeed I suspect that the R&D costs of bring the LFTR to serial production will be lower that the R&D costs of developing the IFR to serial production. R&D spending on the IFR exceeding R&D spending on MSR technology by a ratio of over 20 to 1, and arguably MSR/LFTR R&D is closer to producing a commercial product, than LMFBR/IFR R&D. Thorium is a very abundant mineral in the earths crust. The LFTR has a liquid fluoride salt core instead of the usual solid core. The liquid salt type of reactor was developed by Oak Ridge National Laboratory between 1950 and 1976. The LFTR would use thorium 232 rather than uranium as a basis of its fuel cycle. Thorium is subjected to neuron radiation inside the core of a reactor, an then undergoes a nuclear transformation that produces fissionable uranium 233. The LFTR is 200 to 300 times more fuel efficient than standard reactors. Givrn the abundance of Thorium and the efficiency of the LFTR, the combination offered abundant energy it as long as people will want a massive energy source. Calculations, based on ORNL estimates from the 1970’s, are that it will cost between $2.5 to $5 billion to develop LFTR technology to the point which where commercial prototypes can be built. Again based on ORNL cost estimates, plus known savings in the cost of labor, interest, and a standard calculation for the cost savings from the learning curve in serial production, the LFTRs will be between $1 and $2 per watt of generating capacity. The LFTR will be cheap enough to produce mid-load and peak power, And unlike the conventional reactors the LFTR can do dynamic load balancing for the grid. Why heck, the LFTR can even provide electrical backup for solar and wind, but why anyone would be so crazy as to install solar and wind generating facilities if they had LFTRs is beyond comprehension. The LFTR is very safe, can be designed to control itself without human intervention, produces little waste, and can destroy the waste from other reactors as it generates electricity. The LFTR can produce electricity for a cost that is lower than the cost of coal using carbon capture and storage, or the cost of wind and solar generated electricity. Here’s a great debate on “Nuclear Power, Climate Change and the Next 10 000 Years”. The protagonists – Ralph Cavanagh (Natural Resources Defense Counsel) and Peter Schwartz (Global Business Network) are well informed and genial, and there’s none of the usual red herrings and ideology about nuclear power. Metal cooled fast reactors and proliferation resistant fuel cycles get some discussion. The debate is run to a format that forces each speaker to intelligently engage the other’s ideas – very different to the Blees vs Wasserman “debate”. Nice and long at nearly two hours. Its from 2006 – long before nuclear power was on my radar. iTunes link or mp3 download. Here’s another one – the Mayor of San Francisco interviews Stewart Brand on his weekly radio interview show. (The Mayor of San Francisco has a weekly radio interview show! 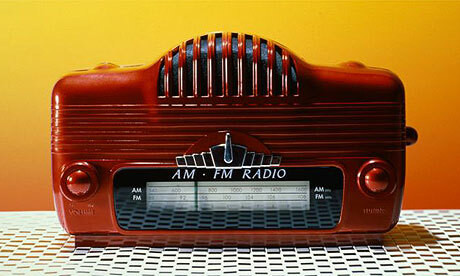 And its great radio!). John, it seems the iTunes and mp3 links cause the message to get directed to the spam tray (which I always check through anyway). No matter, I can restore them — you just have to wait until I’m next online to do it. The debate is run to a format that forces each speaker to intelligently engage the other’s ideas – very different to the Blees vs Wasserman “debate”. I can tell you, John, that I certainly tried to intelligently engage Wasserman in that Peter B. Collins “debate,” but one can’t have a meaningful discussion in that format with a person like him. He simply rattled off the anti-nuclear catechism and unless I was willing to go all Jerry Springer on him there was no way that there was going to be a real discussion. Given the reasoned discussion with Peter in the first half of the interview, I didn’t think that was the sort of thing he would appreciate, plus it wouldn’t have accomplished anything in terms of enlightening people about the subject. Unfortunately I hadn’t known just how unhinged Wasserman is when I engaged him. Hi Tom, I don’t mean to imply you didn’t. I thought you really started out well with a very generous attempt to connect with him. Your efforts didn’t go unnoticed. It went south rapidly, and totally due to Wasserman’s attitude, as a consequence of which I thought you finished up looking pretty good. The format for the Long Now debates has a first speaker make his case, his opponent then gets to ask him questions, then finally the opponent has to provide a compelling summary of the first speakers case, to the satisfaction of the first speaker. Then they swap roles. Its a format that forces each protagonist to meaningfully engage the other, instead of the completely pointless “Crossfire” shouting match you so often see. Its a great set of ground rules for debates on contentious topics.